Yesterday while I was doing some grocery at Whole Foods, there was a girl with the cutest outfit on. She had on a grey sweater paired with a white skirt and suede ankle boots. I of course, had to take a mental picture (without seeming stalkerish) because I just HAD to recreate this outfit for myself. 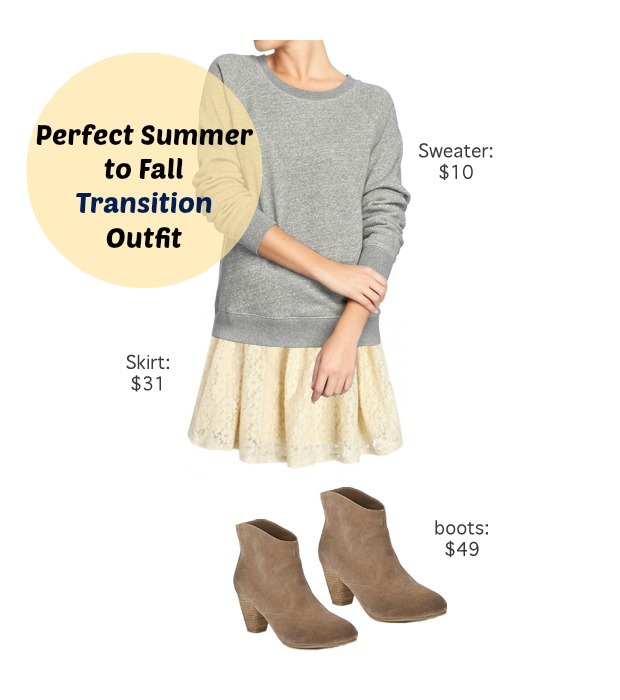 It's the perfect way to transition your summer pieces, such as a skirt or dress. Here's a very similar look that won't break the bank. What do you think? Do you love it as much as I do?